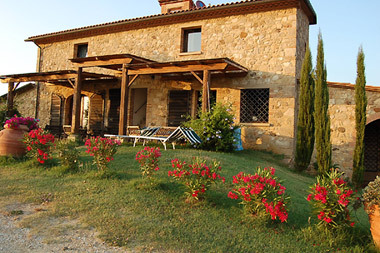 Your beach holiday immersed in the wonderful nature of Tuscany. Structure with swimmingpool. 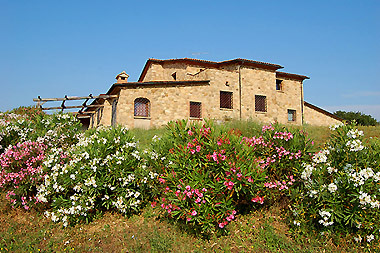 Podere Novo was built with local stones and refurbished in 1998/99. It was part of a held with several buildings used as housing for tenants. 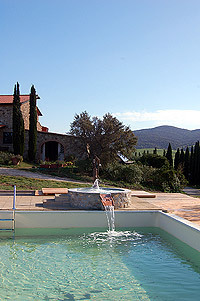 This practice in Tuscany lasted several years and was due agricultural exploitation and remediation in the land of the Maremma. At the time there was the stable for the castro. Pigs and the housing for two families. Currently the volume is used as holiday location and divided into many comfortable apartments, with luxury bathrooms and equipped with every comfort, and there is the accommodation of the owner. Situated on a hill overlooking the village of Bibbona, in which are still sites of Etruscan tombs, Podere Novo is the focus of a private estate of 10,000 meters. 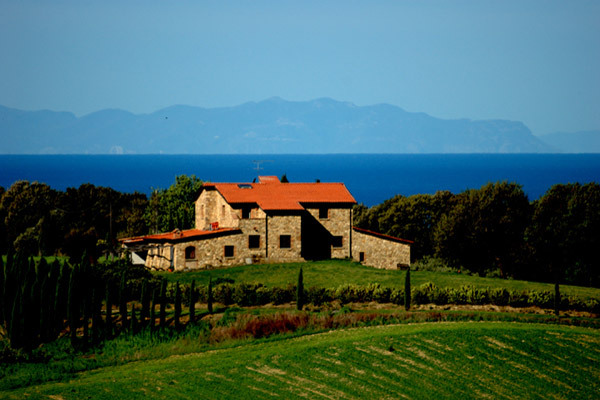 Enjoys a magnificent panoramic over the sea, the island of Elba and the Tuscan countryside and is just 2 km from the famous Magona spot, equipped with roads for various sports, as biking in an area protection of fauna characterized by Mediterranean flora. And the ideal place for families who want to stay at the beaches and afterwards the parents can relax under the big oak treeson the hammocks, or near the swimmingpool, letting their children play on the trees, or the sand or play ball on the endless fields, as in the cities they not longer can.